Have a website or page but no public? Need people to know it exists? My gig can help you! No software or bot used. Number of daily visitors and visit duration might be changed slightly because we are trying to drive real people for your site. 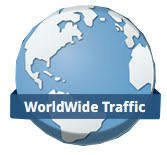 We do not provide traffic Redirect Links, Signup or Direct Registration Sites and Ads Click Sites such as "Adfly"